One of the pleasures we enjoy during our varied trips is photography – both the act and the art of taking interesting pictures, and then later the reminiscing that occurs as we review and apply our imagery in various ways after our trips. It appears that the youngest member of The Traveling Richters is now also looking at photography more seriously. While we have tried to engage him with both point and shoot cameras as well as video cameras, his enthusiasm for them waned quickly. He said that the point and shoots were too small and boring, and he didn’t want to deal with editing video after he shot it. 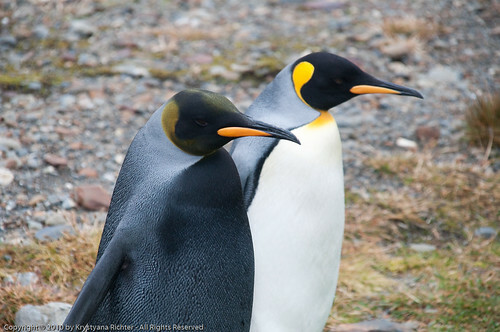 However, when I lent him one of my DSLRs on the very last day of our voyage into the Antarctic and sub-Antarctic, he became captivated with using the camera, and kept at it for a couple of hours, working the angles, the subjects, and lighting. 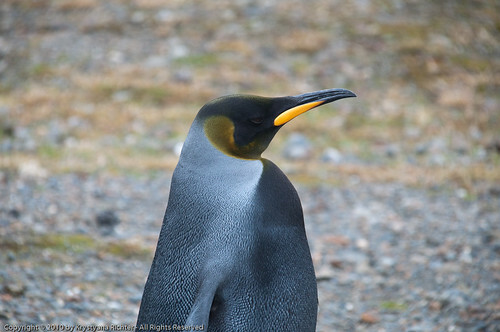 We were on New Island, in the West Falkland Islands area, visiting a rookery featuring Rockhopper penguins, King cormorants, black-browed albatross, as well as caracaras and turkey vultures. I helped him sort through his images later in the evening so we could submit three shots to use as part of the cruise slide show. Below are those three final images – all of which are very nice shots. Bas now says that New Island was the best part of his entire trip, mainly because he had a real camera in hand. I have promised to let him use one of my DSLRs at home so he can practice with it some more. It will be curious to see if his interest remains stronger with the better equipment. Now that I’m back in the world of real Internet connections I can upload another panorama I created during our recent trip to the Antarctic region. 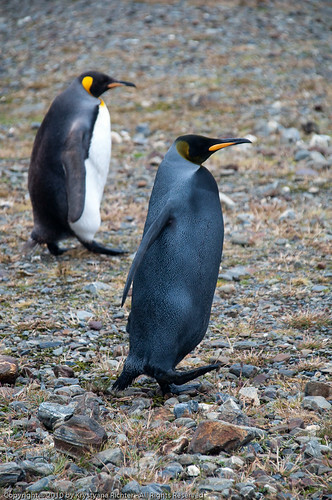 While at Salisbury Plain, South Georgia, we witnessed a King penguin colony numbering in the many hundreds of thousands of penguins. I already uploaded one panorama from that day, but have an even larger (and more astounding) one to share today. If you look at the image closely, you can even see skuas flying above the colony looking for easy prey. Click on the image below to get to the full panorama. Warning – it is 42,043 pixels wide, and nearly 20 megabytes in size. No guarantees that your browser will allow you to view an image that large, but give it a try. Once (and if) the larger panorama image appears in your browser, you may want to right-click on the image and save it locally to your hard disk and use a better image viewer to look at it in detail. You can also use the “Download the Original Size” link to accomplish this.